Yesterday Linden Lab released new starter avatars, the ones new residents get to choose when creating an account. Of course they are also available to existing residents, in your inventory under Library, Outfits. The new avatars are mesh and I was curious on how this would look and how much one can edit them to your liking. I am not going to post a whole story on the pro’s and cons of these new avatars, but I just wanted to show three I picked out last night and played with, just to show you how they (can) look when you use a nice windlight and a pose – other then on the formal LL pictures :). 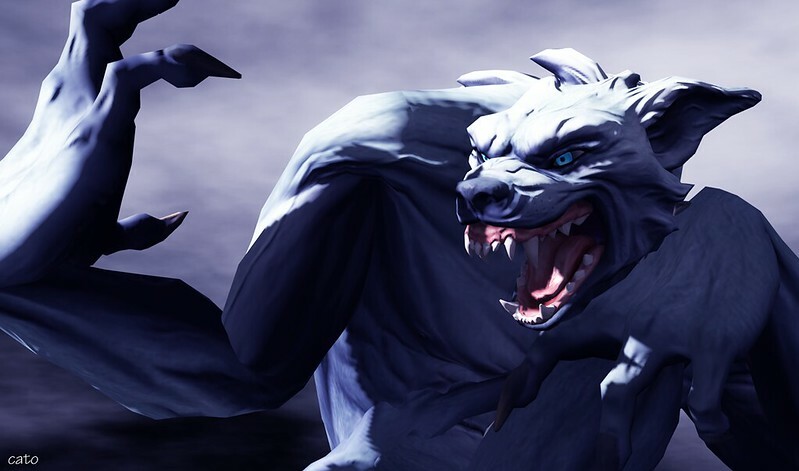 I particularly liked the Werewolf, for its looks and I think I will use this one in future for some pictures! The Wolfman looks good, I think?, not sure if I will ever use him, but who knows! All in all, yes nice for a start, but limited the moment you want to change something on the body. Clothing, hair and jewelry is no problem, but ..shoes! Shoes are important in SL? I’ve seen some other pics on flickr already, and the zombie is a lovely one for artistic pictures. 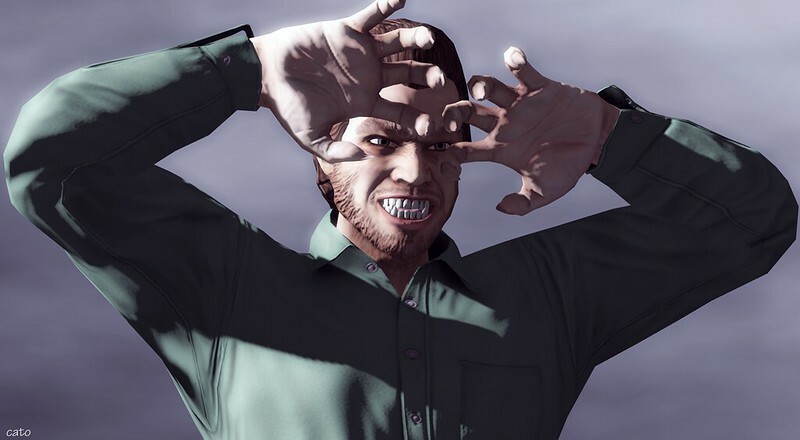 So, yeah, I will not wear any of the avatars in my daily SL, but will surely use them for fun every now and then. See here what Alles Klaar did with one of the Zombies, on Flickr! Previous Post TitaNawak, Iceberg straight ahead! Awww..but, but…I wanna be a werewolf!! !